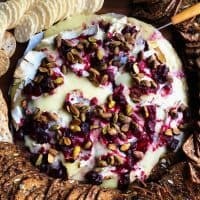 A soft and creamy centerpiece for an epic charcuterie board, or served by itself for a small gathering, enjoy this Cranberry Pistachio Brie Appetizer. Good Morning, Friends. Are you ready to start the Christmas season off with a bang? If yes (hand raised, too! 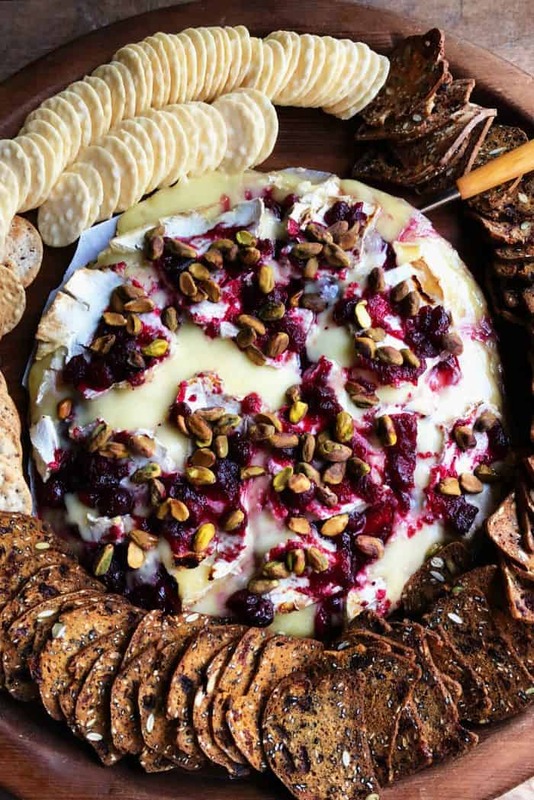 ), then you’ll love this simple festive dish to serve: Cranberry Pistachio Brie Appetizer. If you have leftover cranberry sauce from Thanksgiving, then this recipe is for you! You can also use any jam, jelly, or preserves. 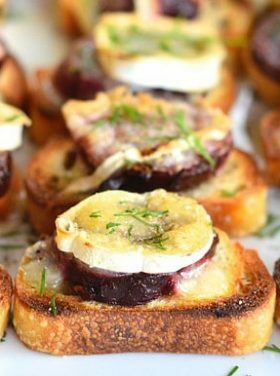 In fact, I have another favorite holiday appetizer, Marmalade Pistachio Brie Mini Tartlets, that are super yummy! We recently enjoyed this brie appetizer for an early evening bite before we walked to the lodge with great friends. 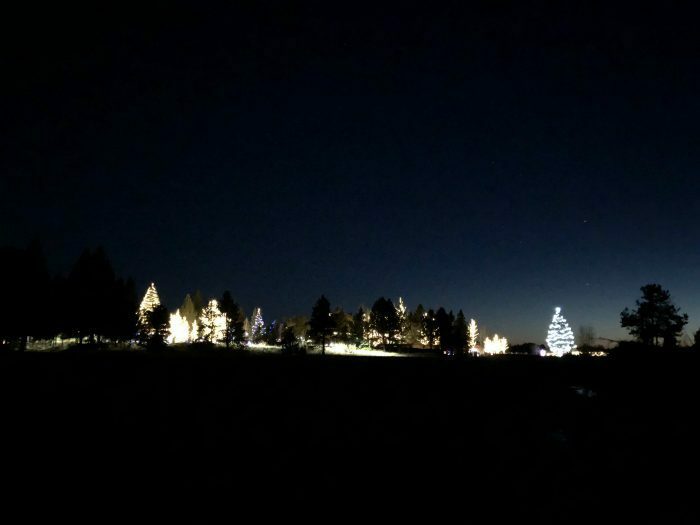 Where we live, every year there is a “grand illumination” where a massive amount of Christmas lights are turned on, with festivities like Santa visiting, carollers, food, and a great fireworks show. It’s a super fun festivitiy that starts the season off with a lot of beauty and joy! I always keep brie in my fridge. It’s my go-to appetizer when I’m in a pinch (it only takes about 10 minutes to bake). I always have some kind of jelly or chutney, and even by itself, you can always drizzle with honey and toasted nuts! My method is super easy. 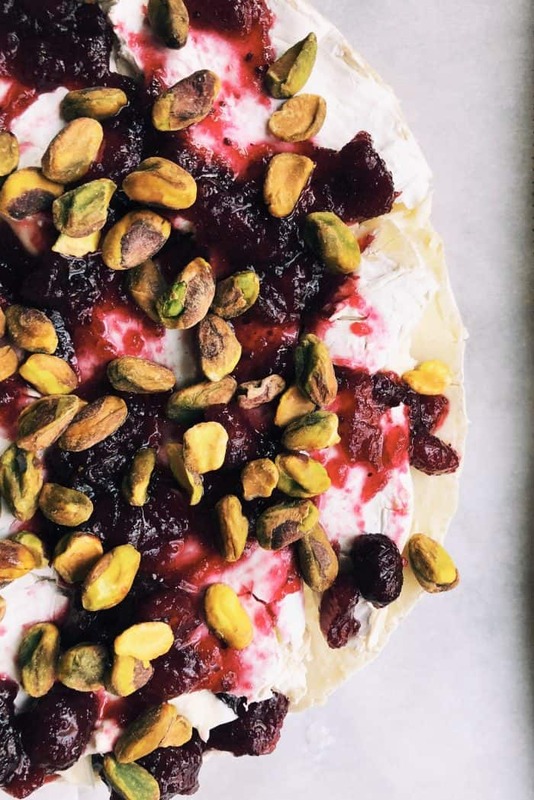 In fact, you can try Baked Marmalade Brie or Baked Lemon Pistachio Brie Recipe where there’s an actual video to watch, how I cut the top off of the brie. Line baking sheet with parchment paper. This makes serving and clean-up a cinch! Cut rind off the top of the Brie, sliding the knife in and down (to form a cone, or lid). Remove the lid. 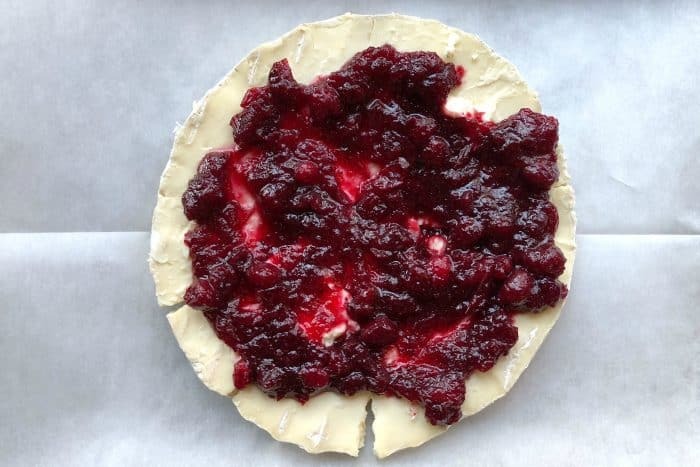 Spoon cranberry sauce over the center of the Brie. Place the lid back on top, pressing down. 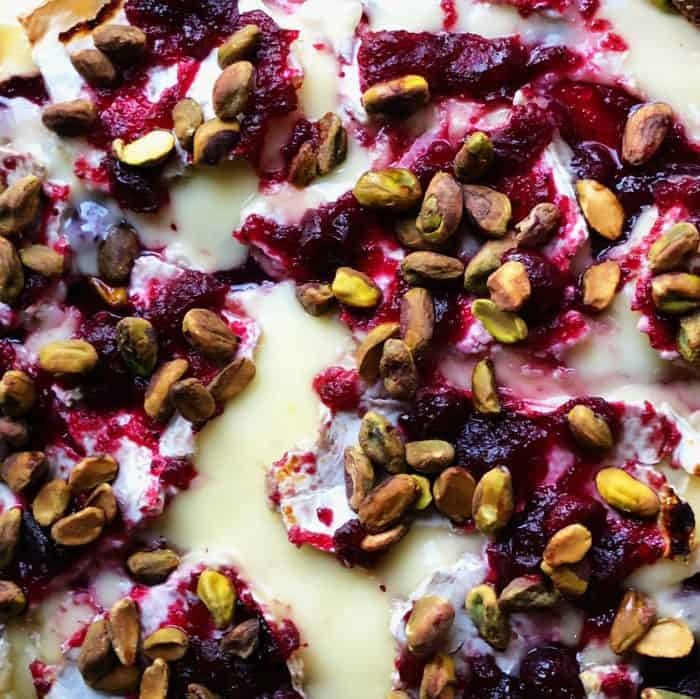 Spread the remaining cranberry sauce on top; sprinkle with pistachio nuts. 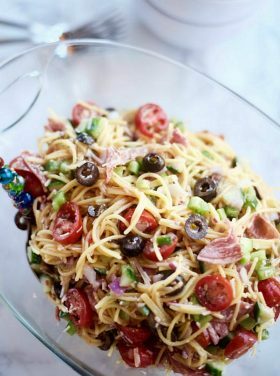 Bake for 10 minutes until bubbly and hot. 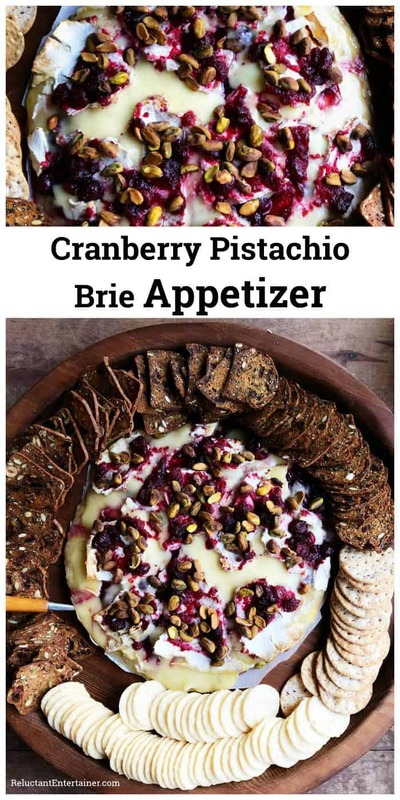 Serve with your favorite crackers on a round board. 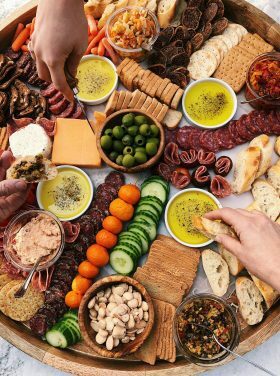 I bought my Lazy Susan board here in Bend, Oregon at Abode Home (a wonderful home store with amazing stuff). 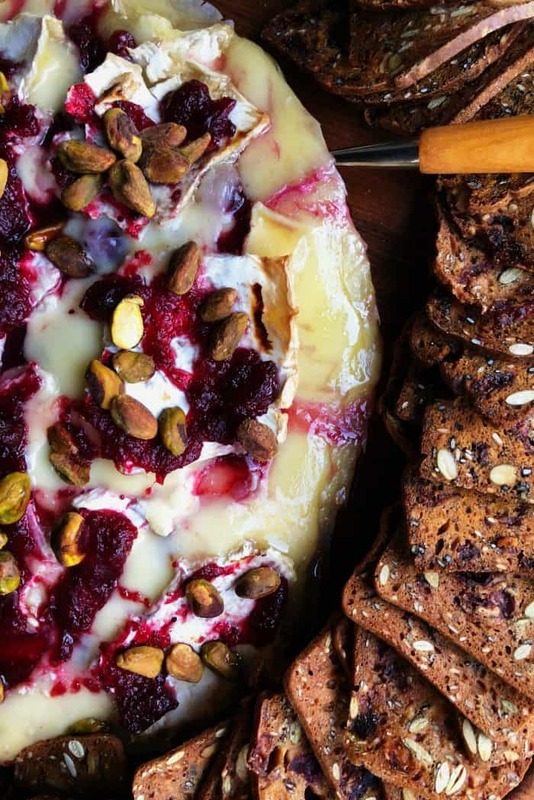 Everyone serves and eats brie differently. 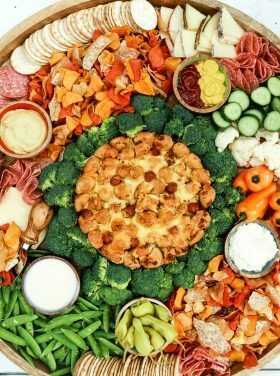 I say … just dig in! If you’re at a big party, put a slice on your plate. 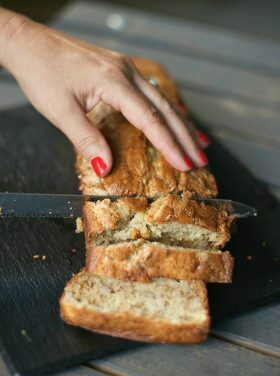 If it’s really gooey (like mine turned out), use a spoon. It’s up to you if you want to eat the rind or not. I particularly love the rind! It’s okay to leave the rind on your plate though. 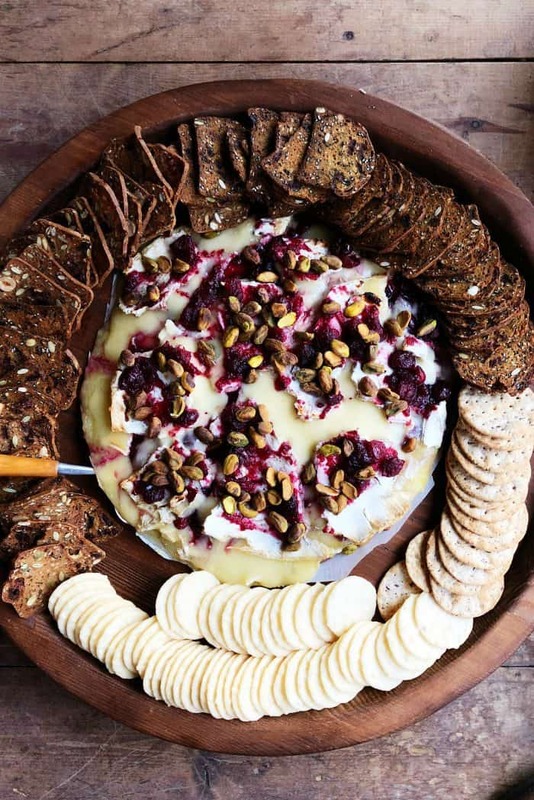 If you’re at a smaller party, you can set it out and just let everyone dig in and scoop up the brie with crackers, bread, or fruit slices. I woke up early this week at 5 am. 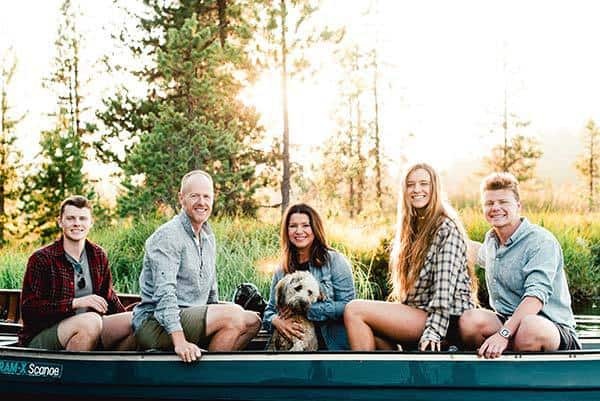 I love the quiet of the morning, and I think with the anticipation of the holidays–our kids all home, company coming, lots of recipes going through my mind–I was a bit excited. Anticipation is on our minds this time of year. The joy of waiting and longing for something more. Anticipating traditions and just being together with family and friends. For me (this may sound silly), the anticiptaion of keeping things simple. But ultimately, it’s the waiting for something big and grand, the Christ child who comes to save us from ourselves. Today, the last days of November, I’m officially ready. Are you? 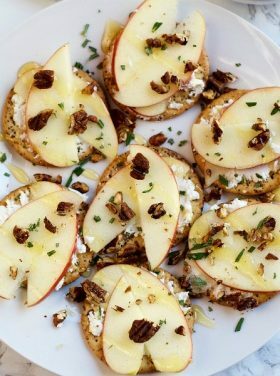 More appetizers: Warm Cheesey Crack Dip [Real Housemoms], Goat Cheese, Honey Crisp Apples, Honey, Rosemary Thins [RE], and Pine Cone Cheese Ball Appetizer with Almonds [Living Locurto]. Preheat oven to 375. Line baking sheet with parchment paper and set aside. Slice rind off the top of the Brie, sliding the knife in and down (to form a cone, or lid). Set the lid aside. Spoon 1/2 of the cranberry sauce over the center of the Brie. Place the lid back on top, pushing down. Bake for 10 minutes until bubbly and hot. 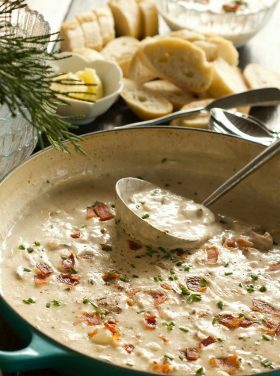 Serve with your favorite crackers, bread, or sliced fruit. Hi! I see orange zest listed as an ingredient, but I don’t see it in the instructions? Do you just add it on top of the lid too prior to placing the Brie in the oven? ?